When it comes to teaching yourself a new skill, the internet is a brilliant resource to find free tutorials, supplies and information. Jewellery making is such a wonderful hobby and luckily there are plenty of jewellers happy to share their skills, creative processes and top tips with you. 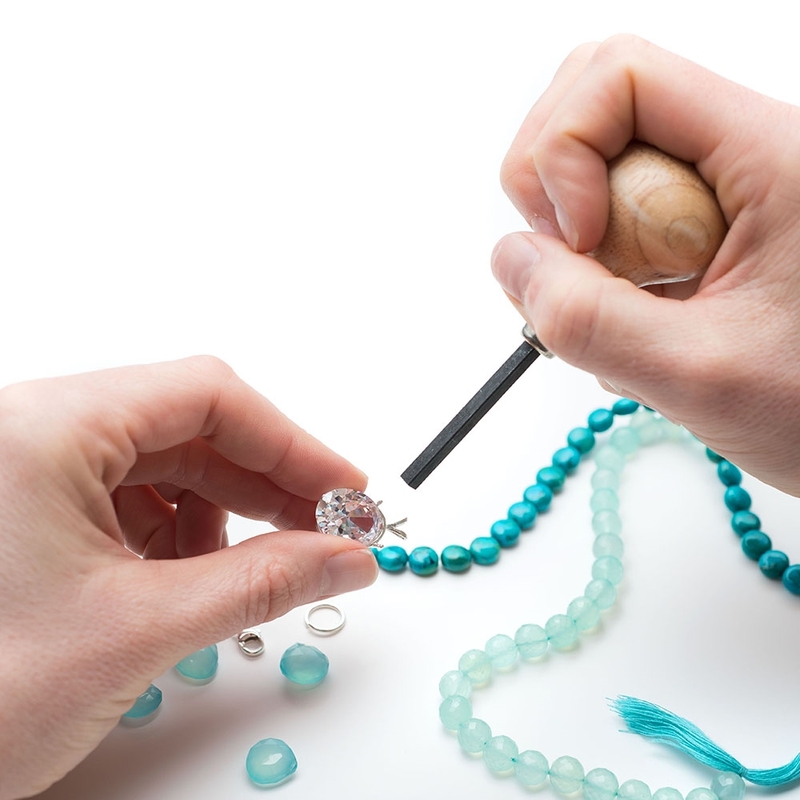 On YouTube you'll find loads of fantastic tutorials from the very basics of jewellery making to more in-depth, step by step guides. This list has been compiled from our customers and our team at Kernowcraft, we hope you find new channels to subscribe to and that you can learn a new skill! Don't forget to subscribe to Kernowcraft's YouTube channel, where we share a range of tutorials aimed at beginners, focus on tools as well as close-ups of our favourite gemstones and behind the scenes action at our office in Cornwall. We love Jewellers Academy! Founder, Jessica Rose is such a friendly person and shares high quality videos on how to develop your skills and build your own jewellery business. From tutorials, business tips to interviews... you'll find a little bit of everything! Founder of At The Bench, Andrew Berry has over 30 years of experience in the jewellery industry. On his channel, he shares useful tutorials on tools, techniques as well as interesting vlogs which share behind the scenes action. He's a particular favourite among our customers! Nancy is loved among the jewellery community and has been sharing tutorials for nearly 10 years! You'll find plenty of videos to help you on your jewellery making journey, whether you want to try a new technique, understand a tool or learn more about workshop safety... She is a joy to watch with her infectious personality! Basia is a self-taught jeweller, offering fun and friendly tutorials, vlogs, tours and reviews for aspiring jewellers. Basia creates modern jewellery, often using statement gemstones in her tutorials. In this video, she shares a wonderful insight into how she takes photos of her jewellery - something many jewellers struggle with. Soham is so popular among our customers, his tutorials are straight to the point and informative. Each video shares a step by step of how to do a particular technique. Love wire-wrapping or want to give it a try? Oxana shares incredible wire work tutorials on statement gemstones. Oxana also shares top tips, guidance and tool information to help you along the way. Christina has a passion for macrame, wire-work and kumihimo, sharing tutorials and top tips every single week. In this video, Christina shares a brilliant tutorial on how to make a gemstone wire tree ring. Denise has a passion for wire-work and beads, sharing tutorials on how to use techniques to create earrings, necklaces and bracelets. We absolutely love this earring design using pretty briolettes! Denise shows you that the possibilities are endless when it comes to wire-wrapping. Pablo's incredible talent and videography is adored by jewellers across the world. His aim is to share the stories behind each piece of jewellery, sharing his creative processes to over 1 million subscribers. Of course we had to do a cheeky plug! Over on our YouTube channel, you'll find lots of tutorials great for beginners, discover jewellery tools, gemstones, top tips and behind the scenes action.